‘Engineers can’t write!” It is a general myth that engineers don’t need to learn the art of writing. But, it definitely doesn’t stand true in today’s time. Good assignment writing skills are necessary for everyone, including an engineer. It can be truly said that technological skill is only a part of the entire skill’s set that an engineer needs to succeed. In recent times, it has been found that there is a dearth of engineers with good communication skills which include both reading and writing skills. Engineers in training may be unaware of this gap, but once when they are out in the field, they realize this gaping hole in their preparation. 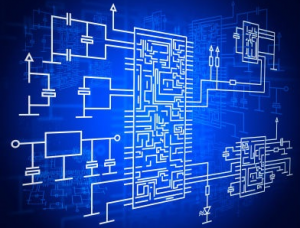 In writing an engineering assignment, the student must exhibit accuracy and precision. His writing must be precise. This may be achieved by using phrases such as “whereby is meant” which gives a certain degree of precision to the sentence. This method of writing is what makes technical writing impeccable. Also, the student must be able to break sentences into smaller ones in order to make them comprehensible. In engineering assignments, two or more sentences can do the work of a single sentence in a better manner. A single sentence may become bloated and unclear, thus losing the fluidity of the assignment. Secondly, engineers tend to think that their writing is meant only for the engineering audience. That is not true! In fact, in later stages they may have to write for project managers and business development managers who may not be very well versed with the technical jargon’s of the subject. Thus, the writing should be comprehensible at the same time technical enough to suit the palates of engineers also. The assignment should not leave any questions in the minds of the reader regarding its content. This is the main purpose of a good technical assignment. An engineering assignment also includes a lot of drawing skills. So, student must prepare themselves for drawing too. His diagrams should be labeled and presented with perfection. Dirty and haphazard diagrams are an eyesore. 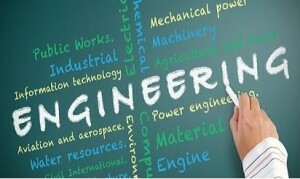 Thirdly, an engineering assignment should be well structured and articulated. It should consist of a proper introduction which clearly mentions the aim of doing the assignment, its objective and what it intends to achieve. A well structure assignment is the only way to write an engineering assignment. For example, if an experiment is being elucidated in an assignment, then one clearly needs to portray the need for the experiment. It should clearly state the need for such an experiment, the apparatus used, settings for the same, the result of the experiment etc. This shows the structure of the assignment that should be diligently followed. Lastly, every student must clearly understand that good communication skills are very important to excel in any profession. One must not be under the mistaken impression that writing well is not for engineers. They should harness their linguistic skills by reading a lot of authors and should always have an open mind while writing an assignment.